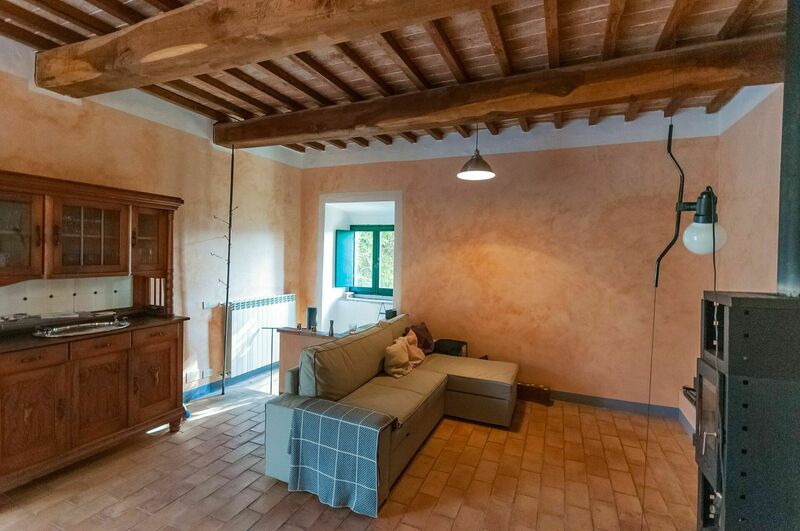 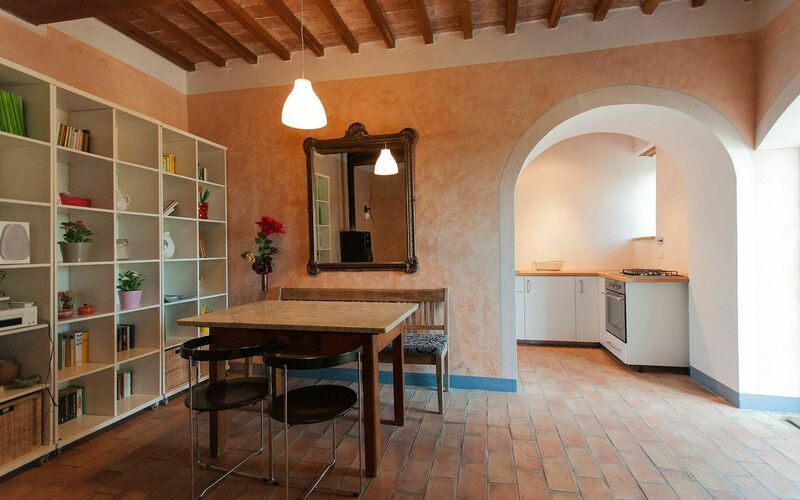 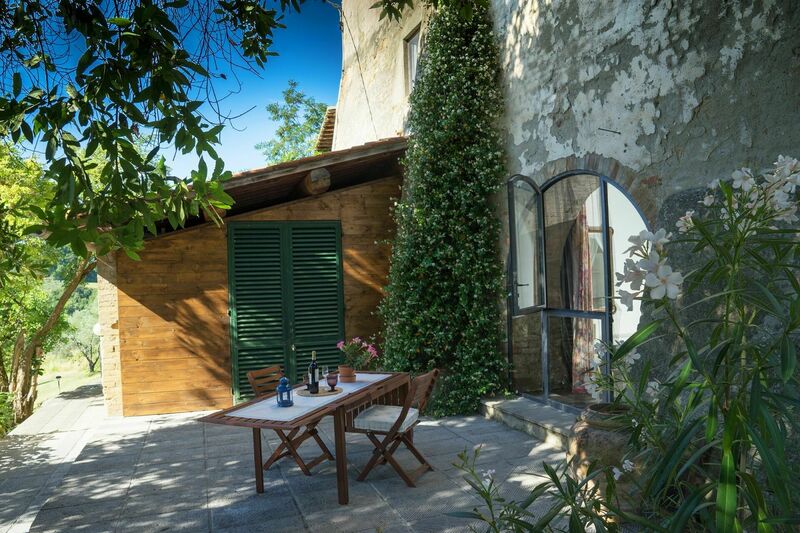 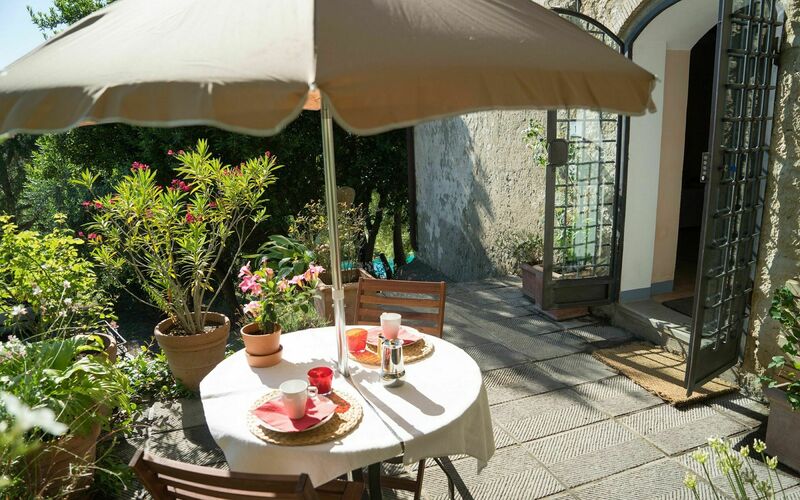 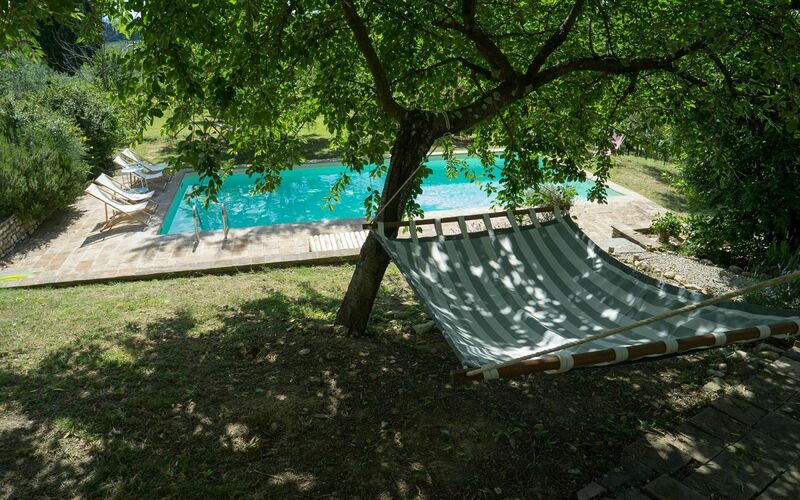 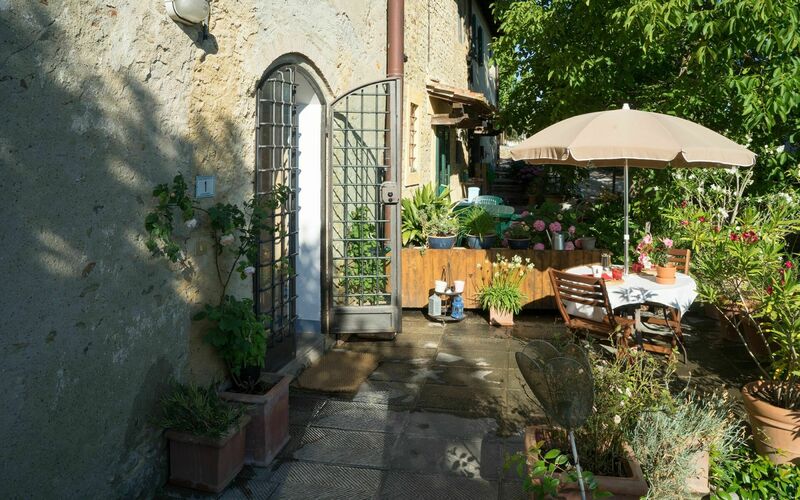 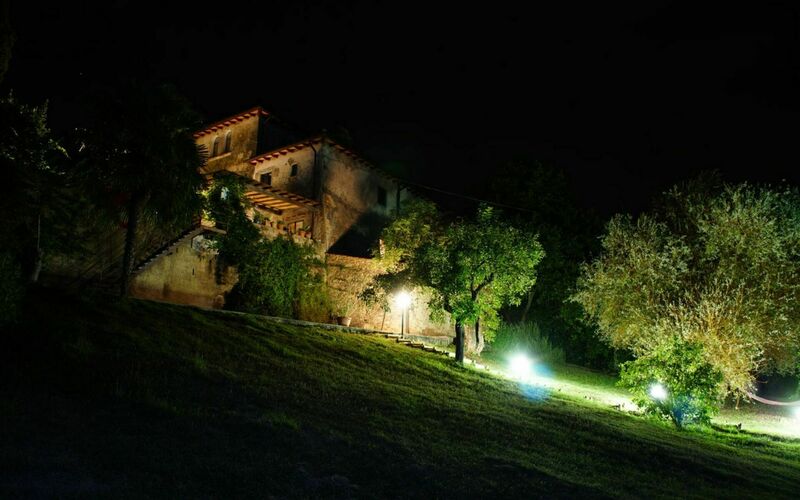 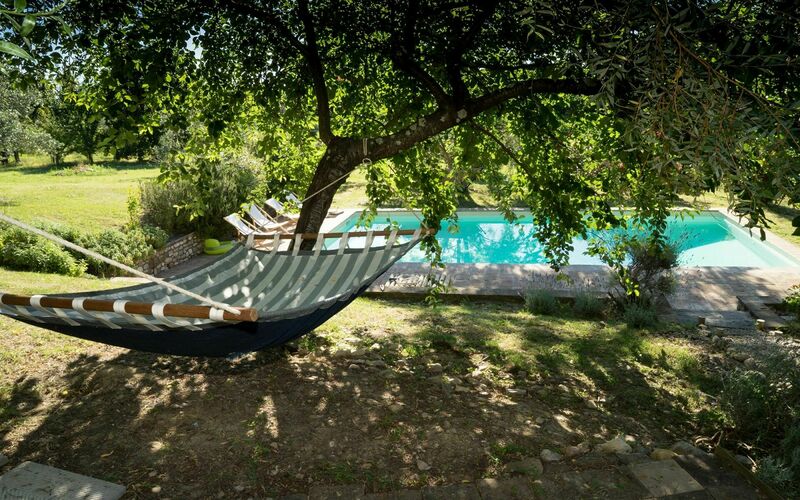 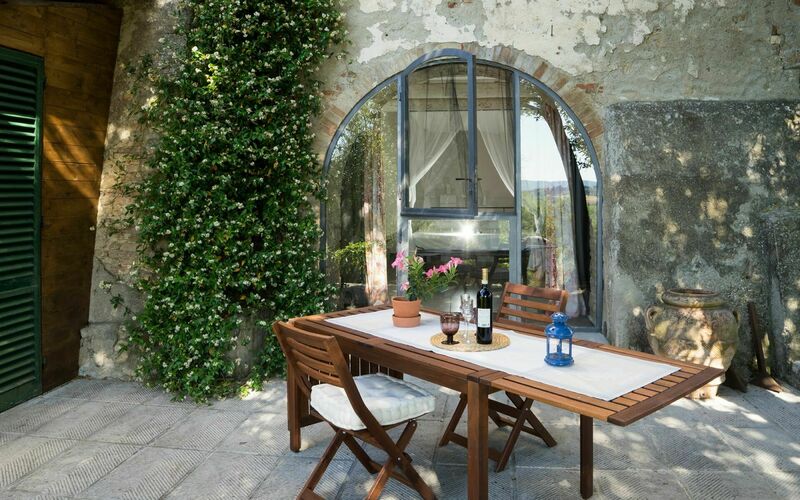 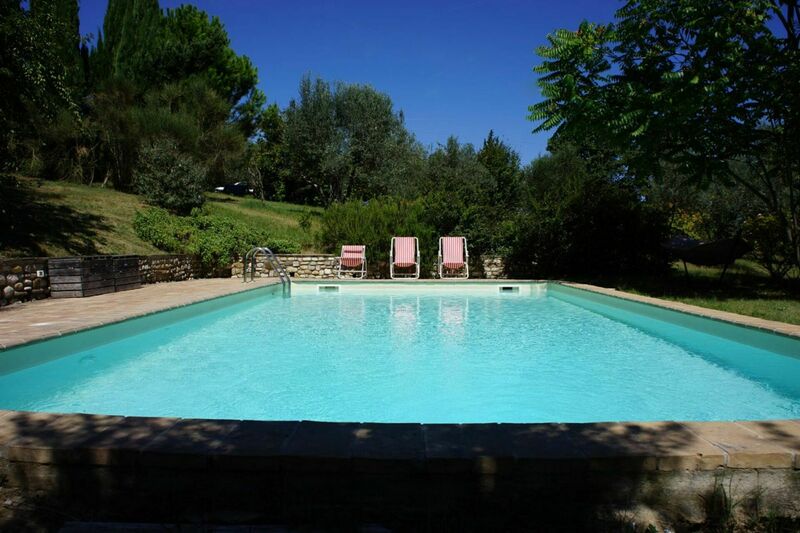 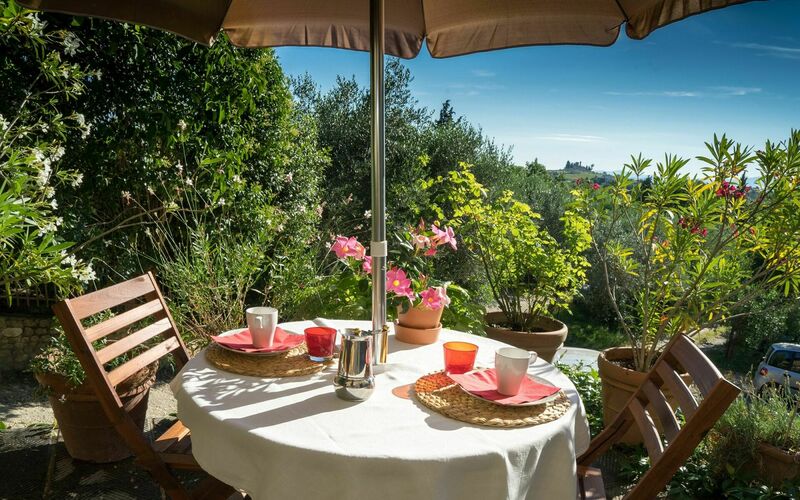 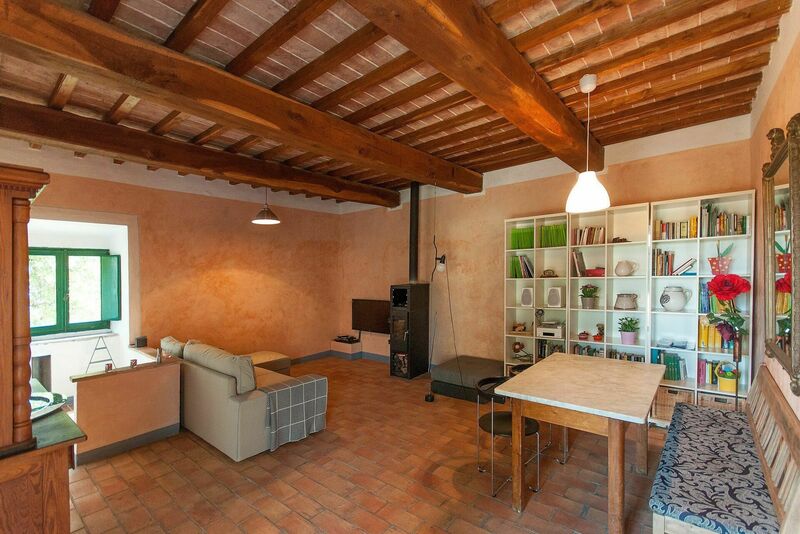 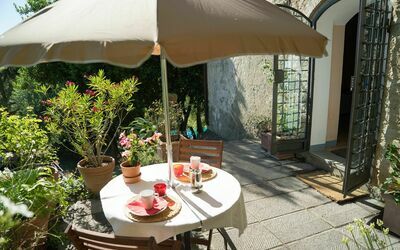 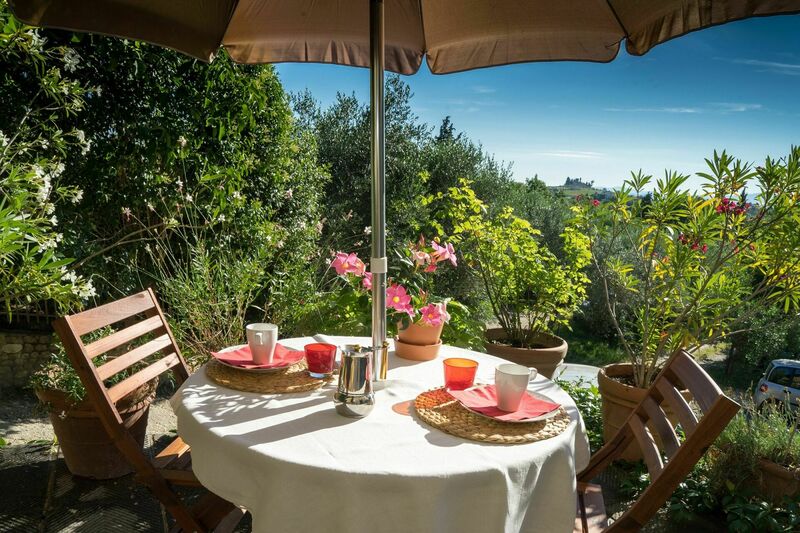 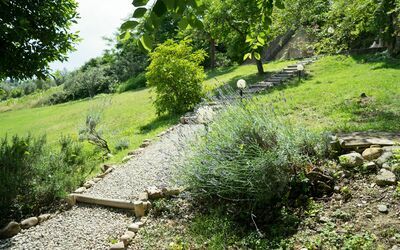 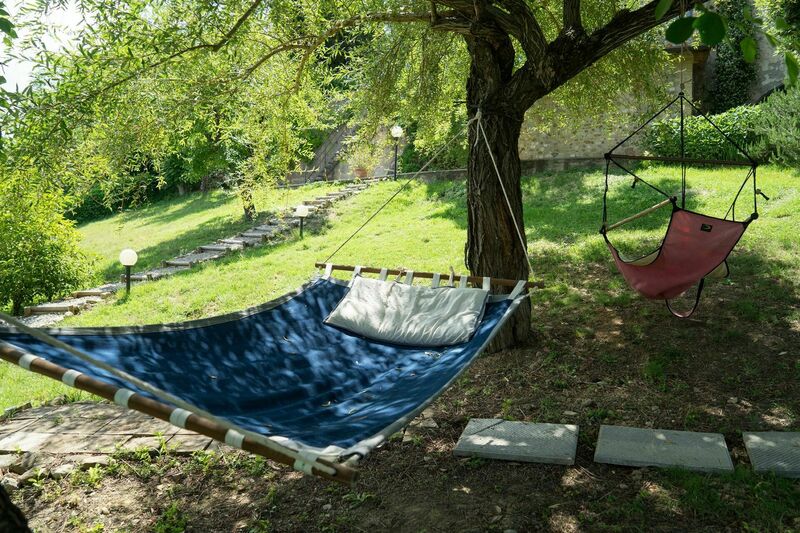 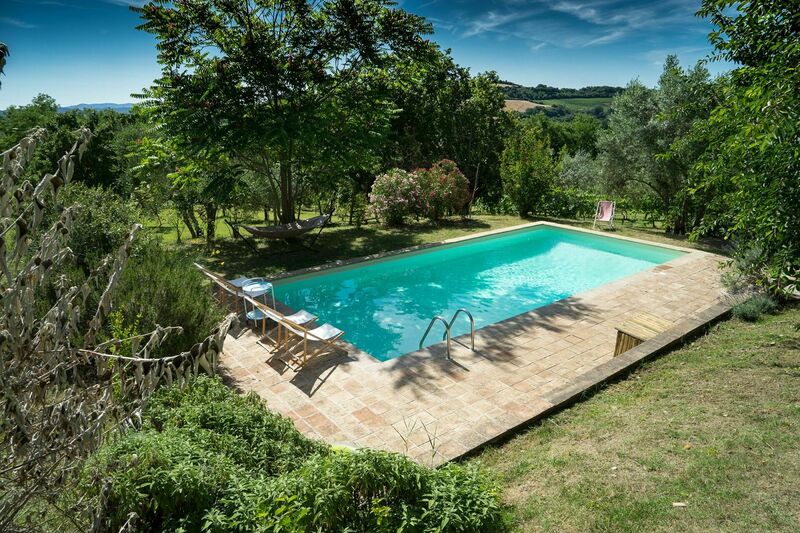 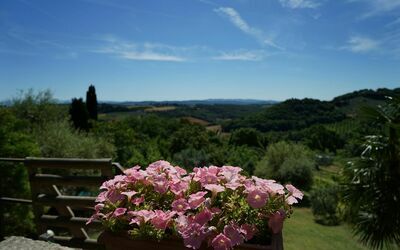 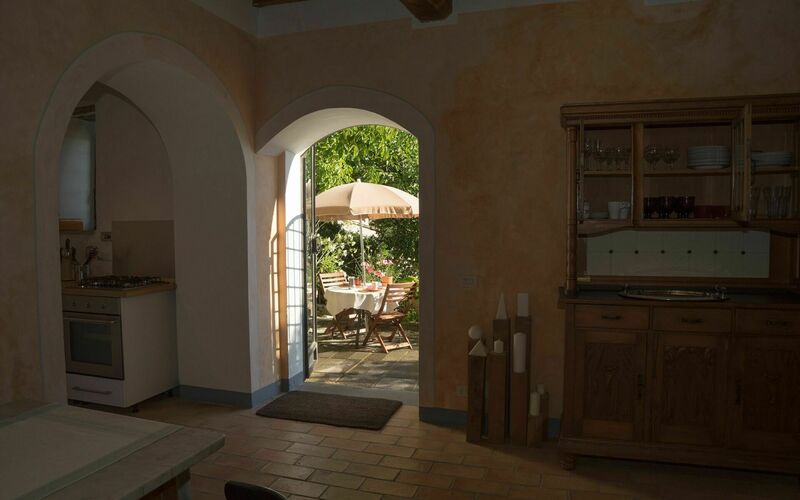 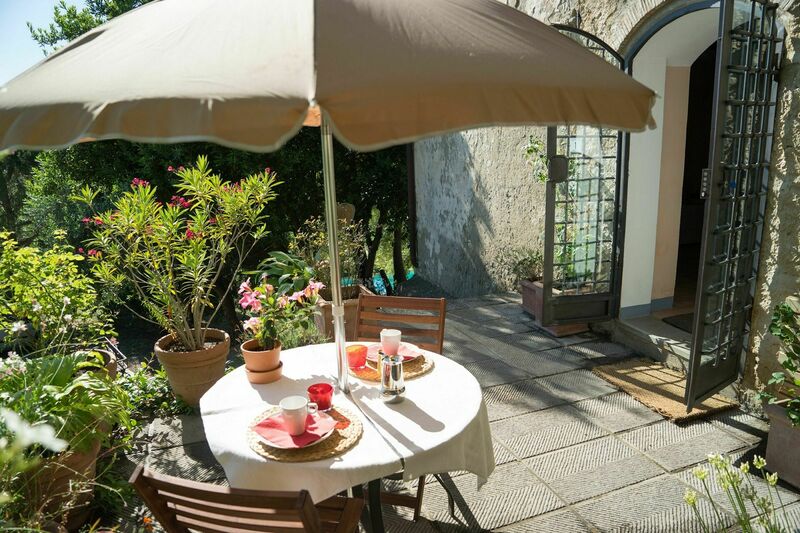 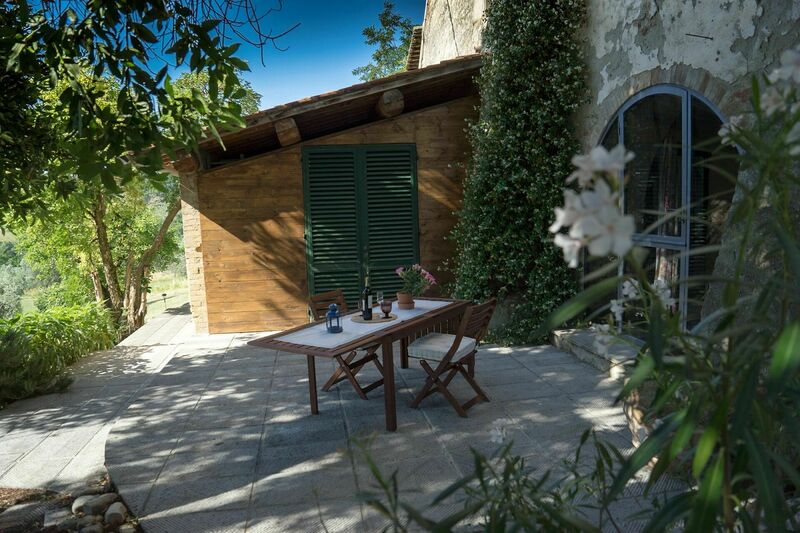 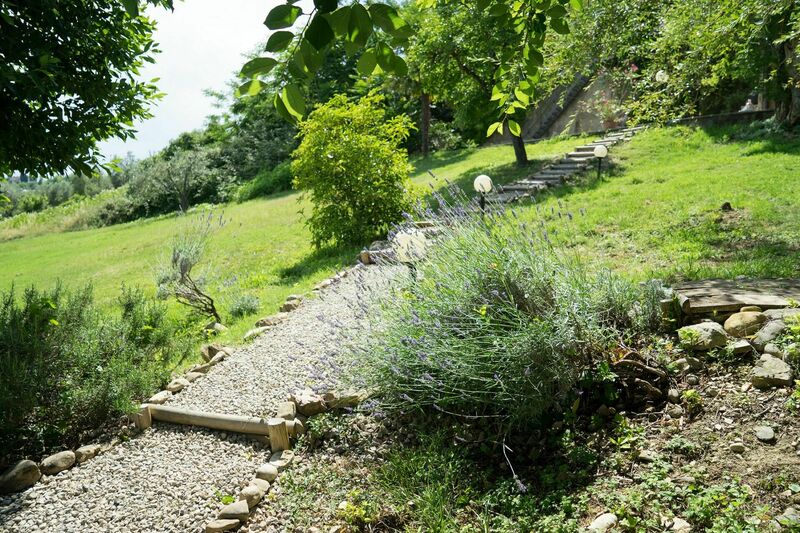 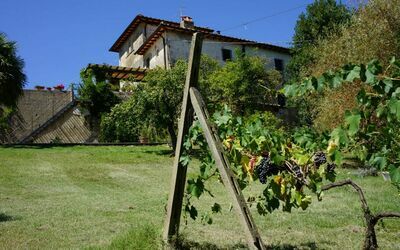 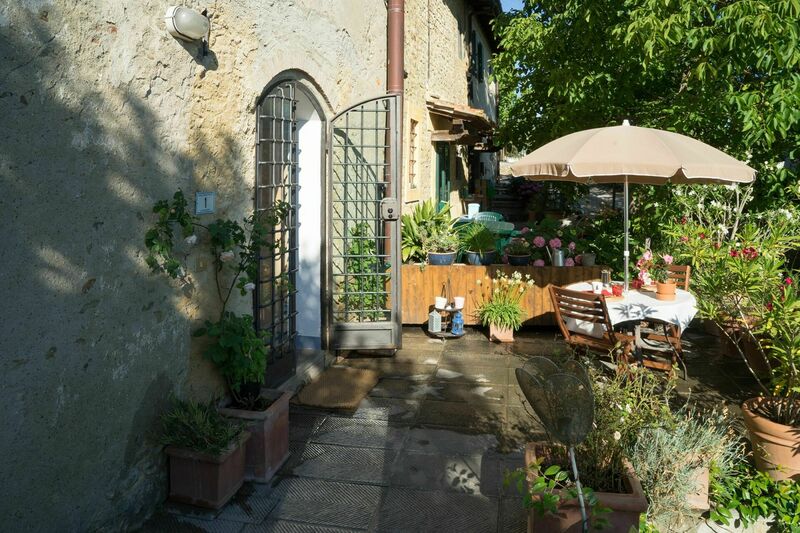 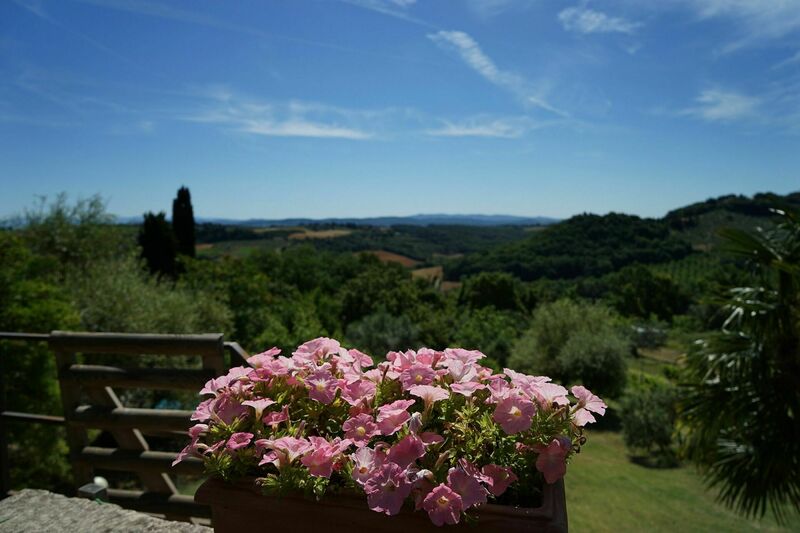 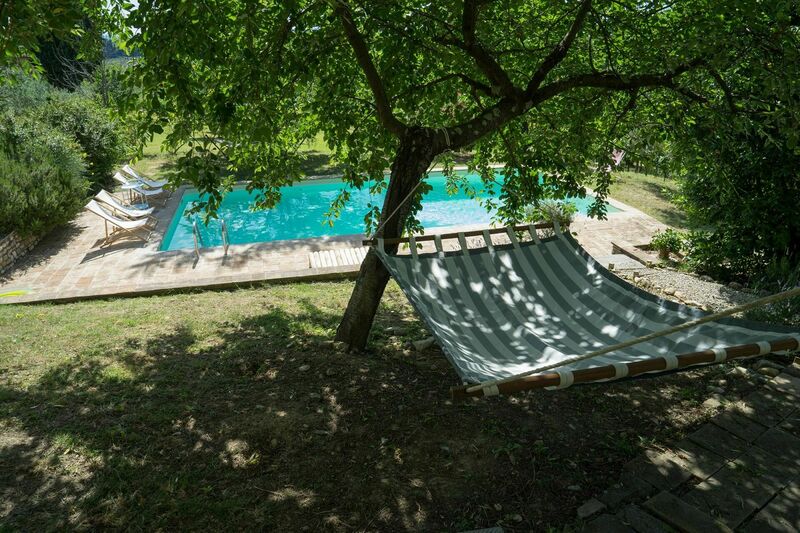 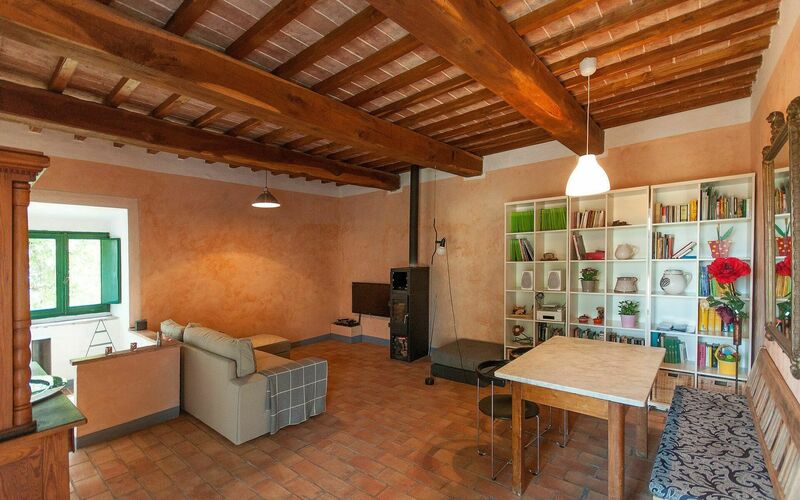 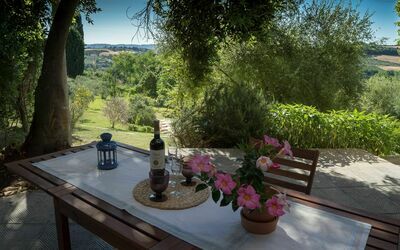 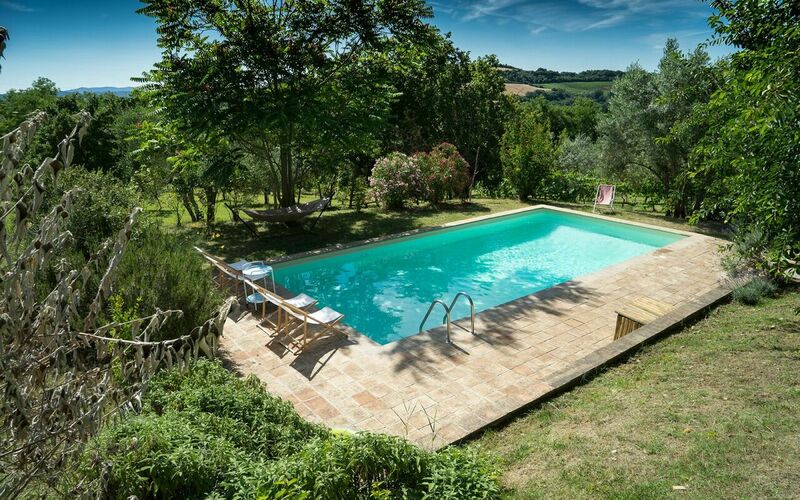 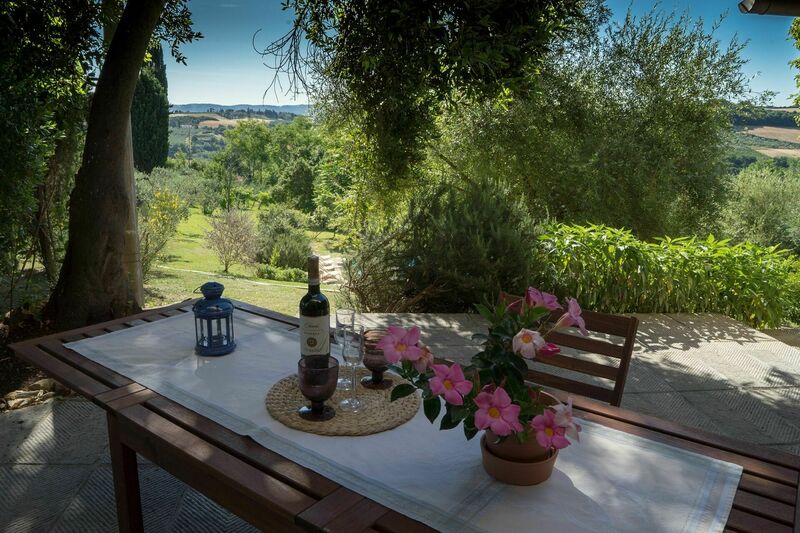 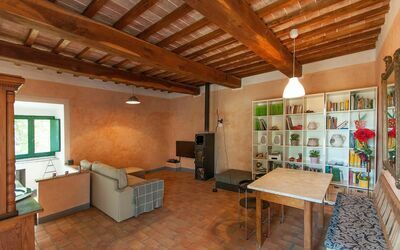 This comfortable apartment is found inside a farmhouse in Tuscany near Tavarnelle Val di Pesa and Montespertoli, just 30 km south of Florence. 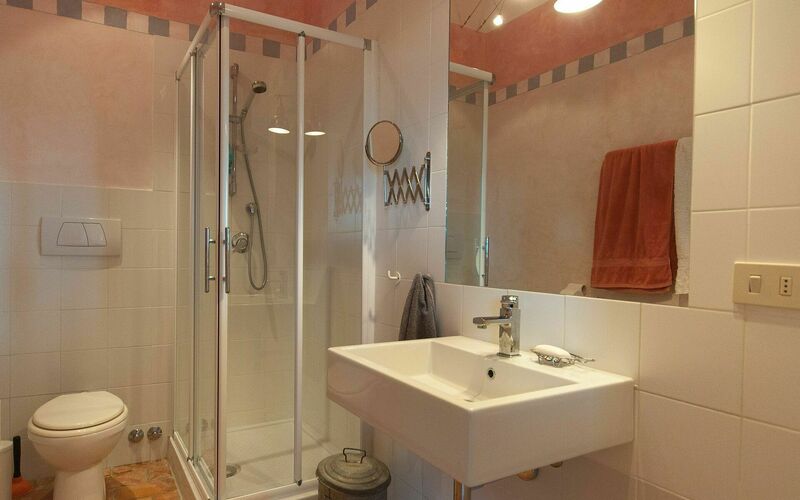 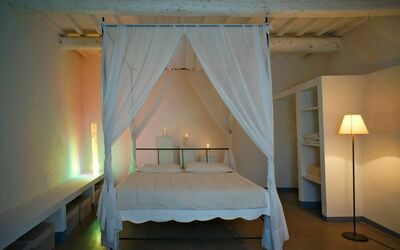 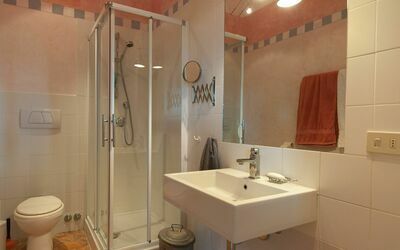 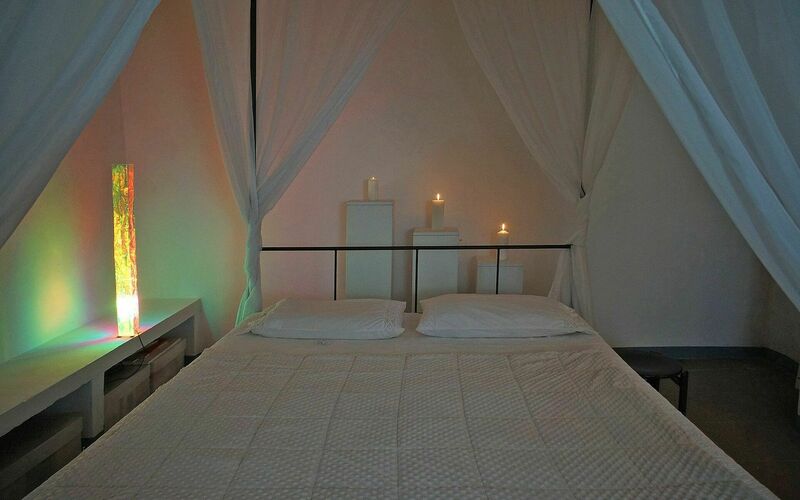 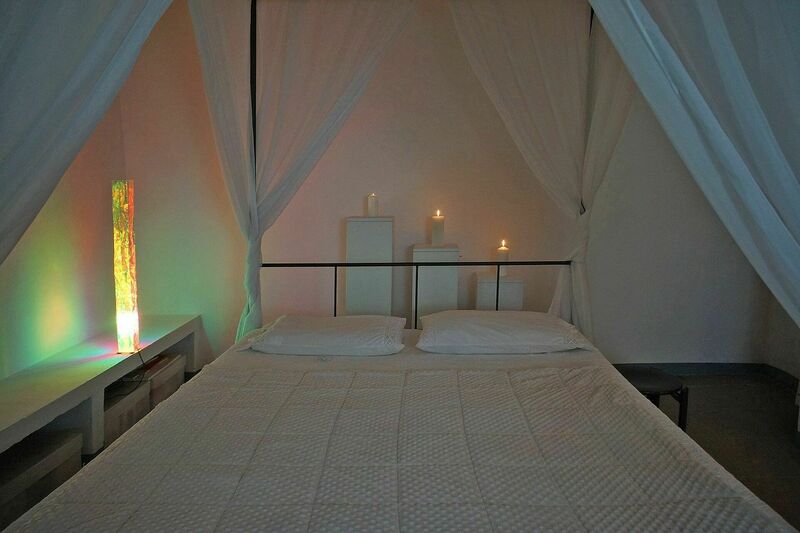 The apartment has been recently renovated and is very welcoming. 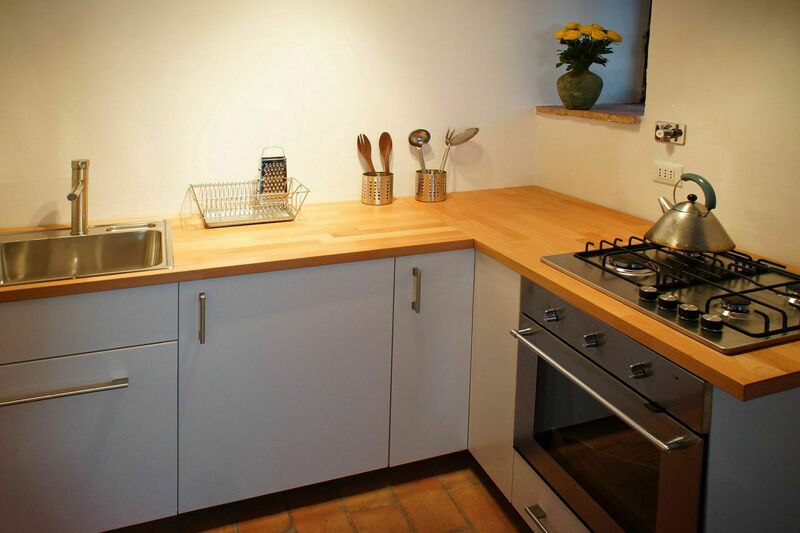 The owners live in the neighbouring apartment, they are kind and welcoming people and they know just how to help their guests with any advice or suggestions during their stay. 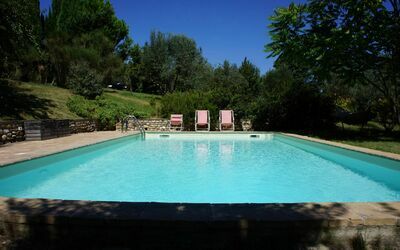 A beautiful swimming pool, complete with lights, sits in the garden, which is taken care of by the owners. 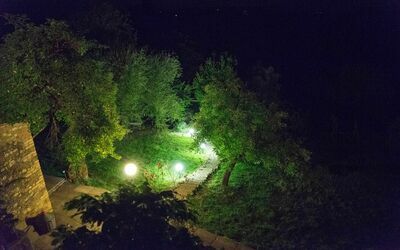 Access to the house is via a short stretch of dirt road. 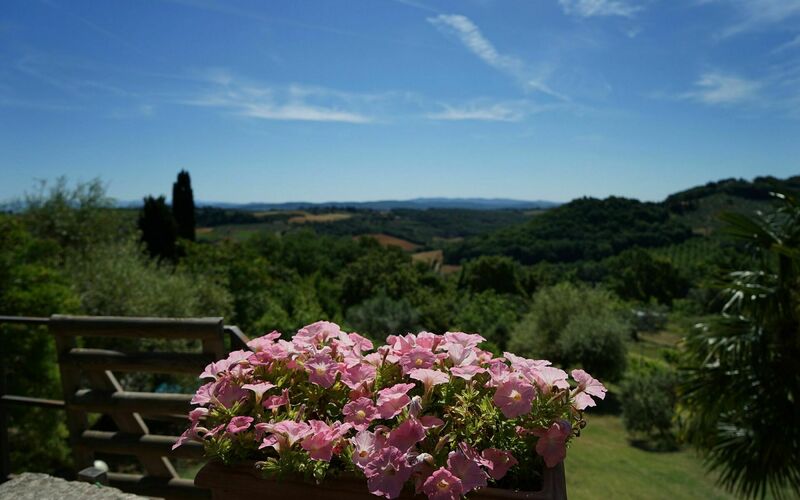 Distances: Tavarnelle Val di Pesa with many shops is 8 km away, Montespertoli 10 km, the Chianti area 15 km, Florence 30 km, San Gimignano 30 km, Siena 50 km, Lucca and Pisa are roughly 80 km and the Tuscan coast (Castigioncello and Viareggio) is roughly 100 km. 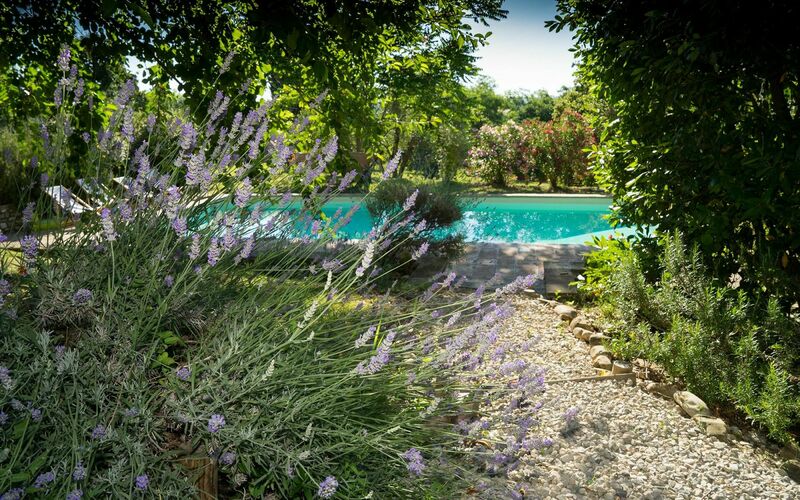 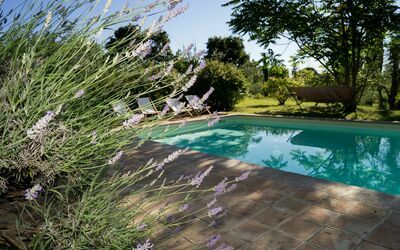 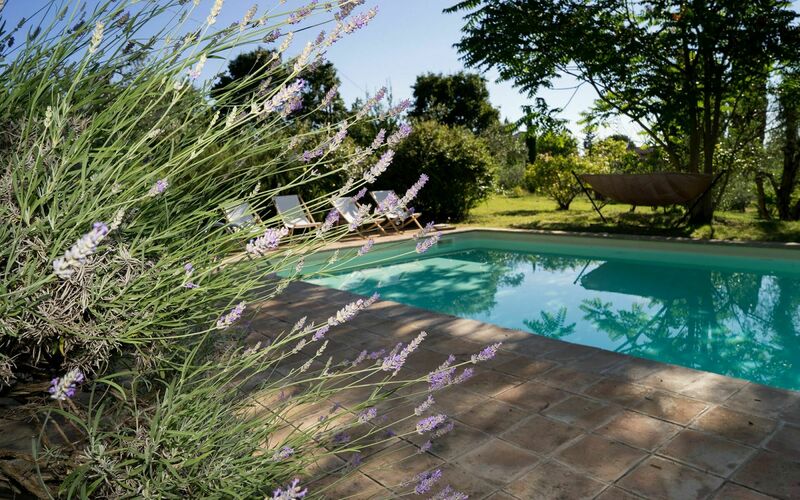 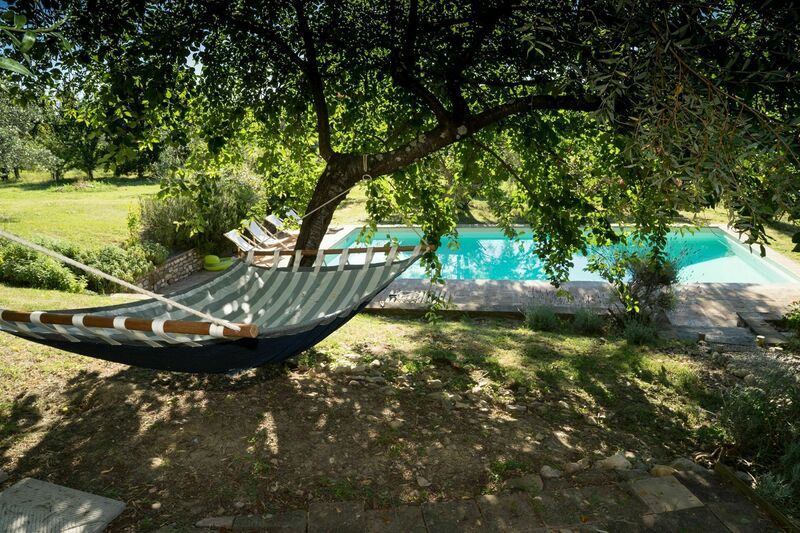 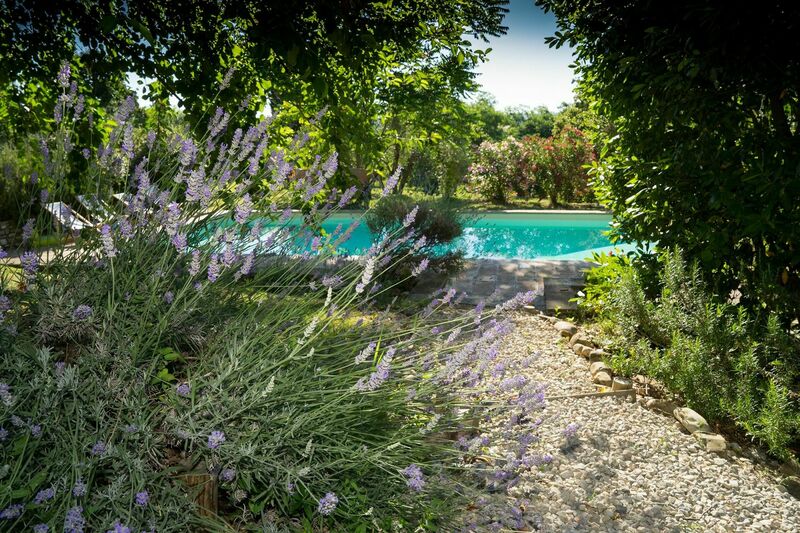 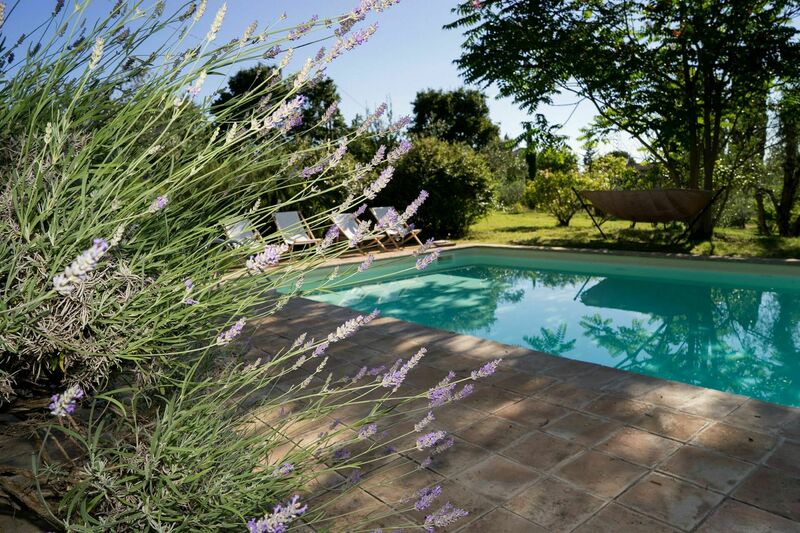 Available to guests: Private outdoor space, furnished with table and chairs, swimming pool shared with the owners, (12 x 5 m – minimum depth 1,5 m – maximum depth 2,5 m – open from 01/06 to 30/09), outdoor shower (cold water) beside the pool, private barbecue. 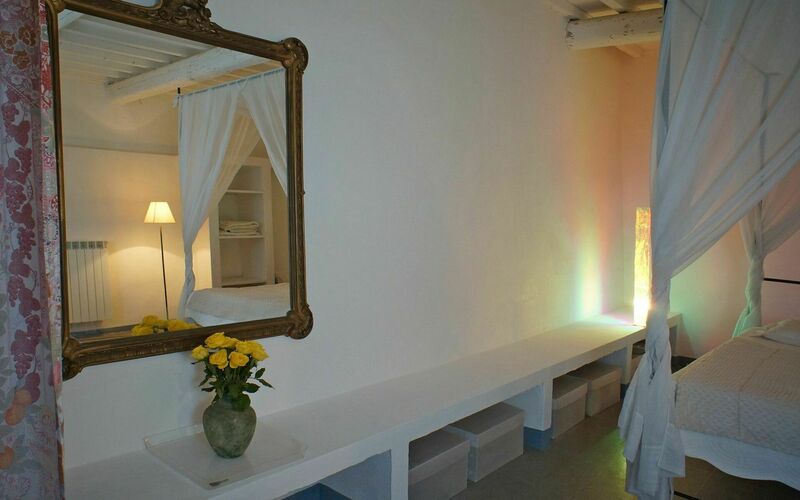 Extra Services: Child’s cot (upon request and at no extra charge). 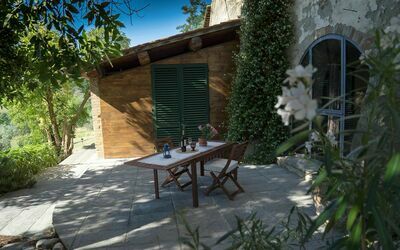 Housekeeper available at a charge of € 12 per hour (payment taken at the property). 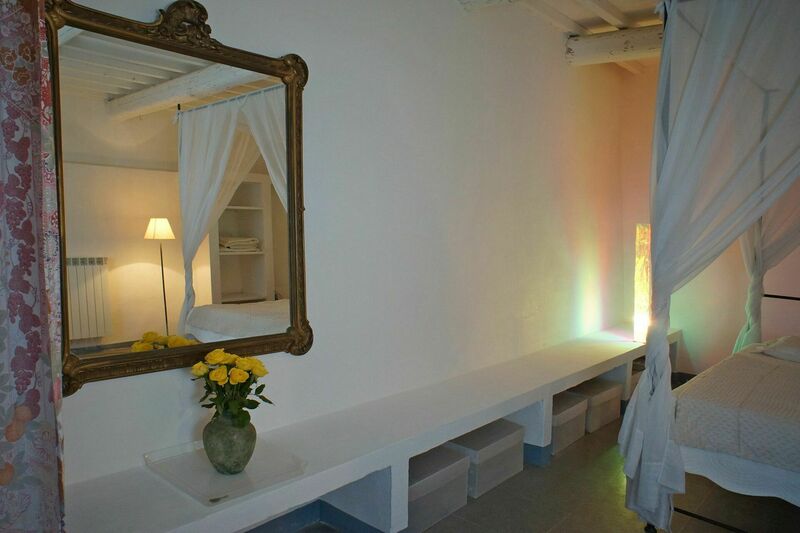 Option to add another bed at a cost of € 15 per day (payment taken at the property). 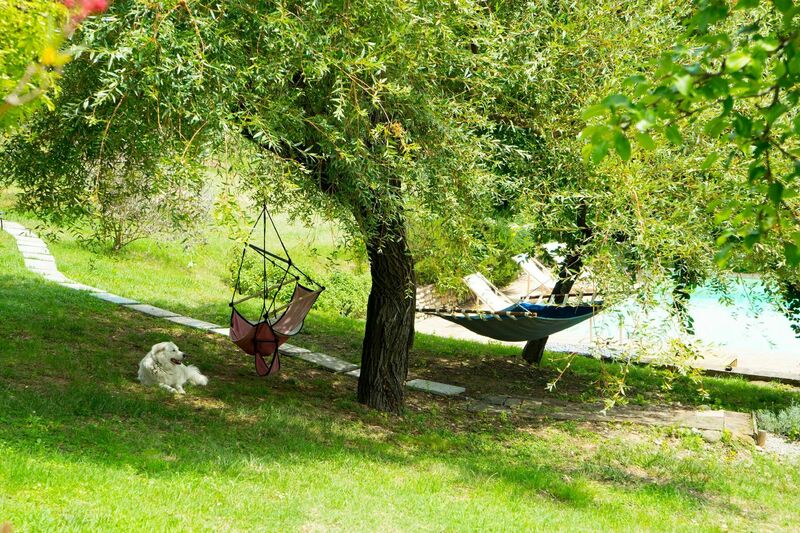 Pets are welcome upon request and only once approval has been granted by the owners (who have a dog). 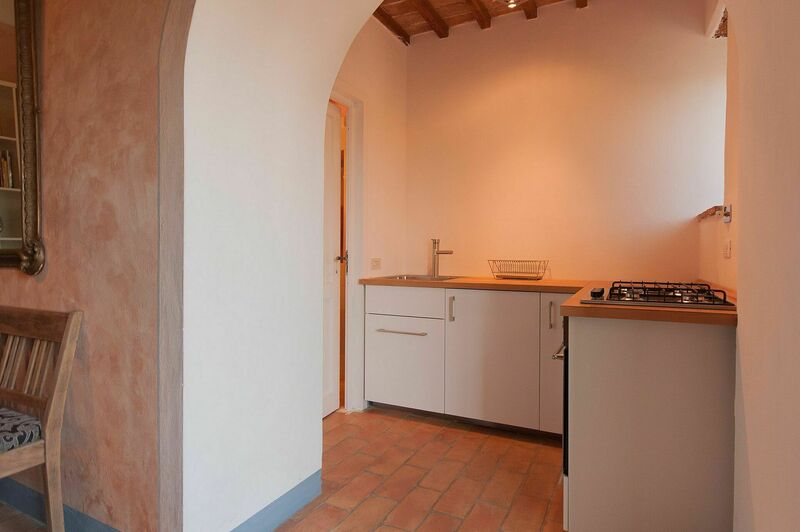 First floor: Entrance into living space comprised of living room (satellite TV) with wood burner, sofa bed (double size), dining area and kitchenette (oven, small freezer), bathroom with shower (without bidet). 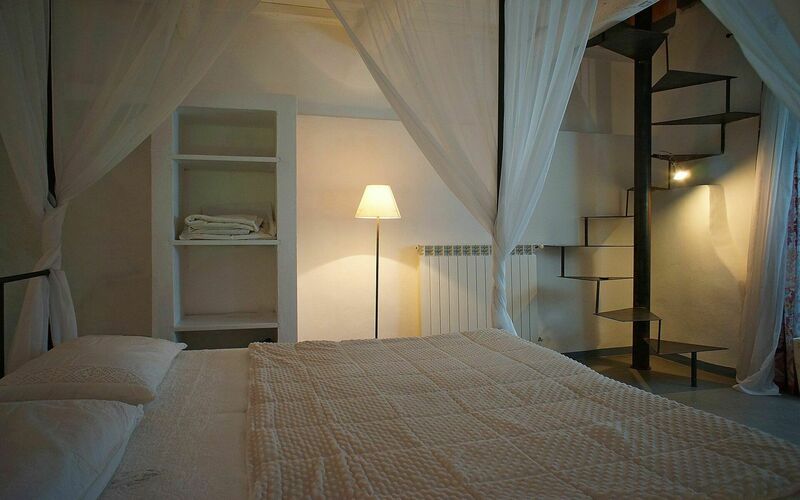 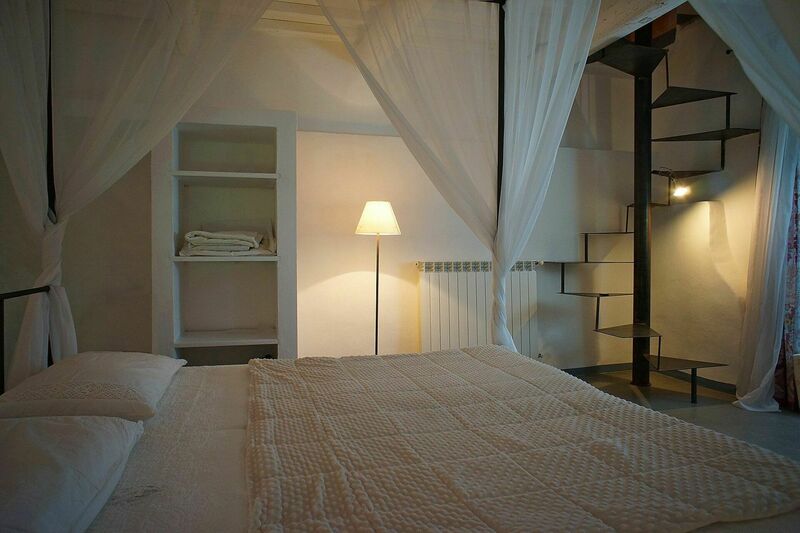 Lower floor (accessible also from outside via the private furnished outdoor area): double bedroom. 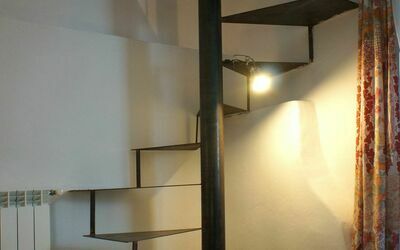 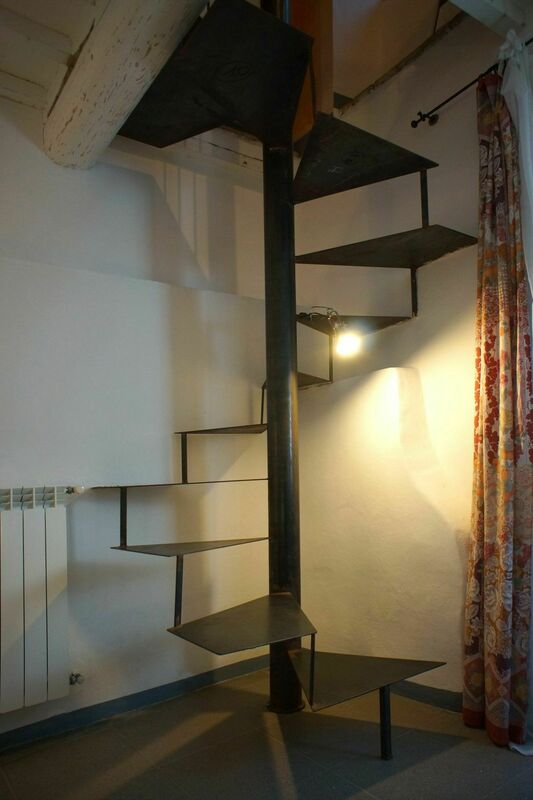 Note: the lower floor is reached by an iron spiral staircase, which in some places does not have any side protection.